An Evison/Poulsen® cultivar raised in Guernsey by Raymond Evison and launched in 2011. A delightful pink flower with contrasting yellow anthers. 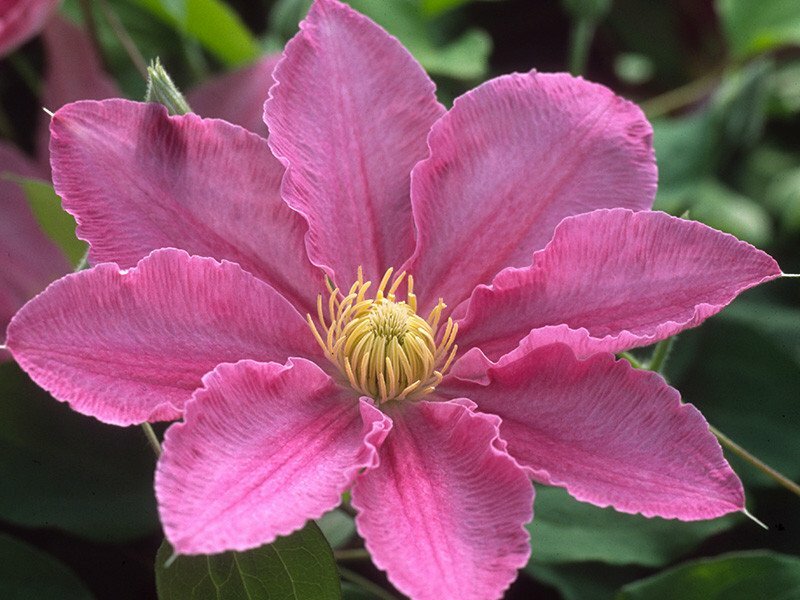 As clematis Abilene's flowers mature and fade, a central deep pink stripe becomes more prominent.